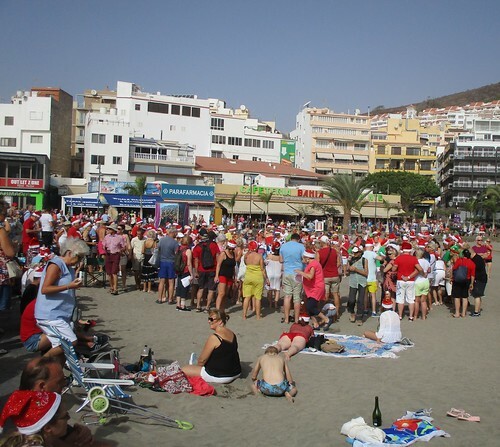 At Blackpool they would have turned blue, at Torquay their teeth would have chattered, and at Skegness their skin would have been covered in goose bumps, but in Tenerife there was a morning rush to Los Cristianos beach to celebrate Christmas Day in a very British fashion. It was hot and sunny, whoa before you envy us too much, the previous day had been plagued by a calima, and dust from the Sahara was still hanging in the air. Oh yes we do suffer a bit, well not that much, but we were free of sprouts and up to our armpits in sausage rolls, mince pies, and yummy cakes. 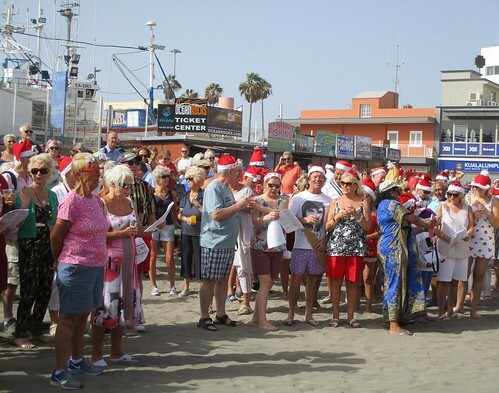 Converging on the beach is a tradition started by “swallows” the affectionate term for the elderly Brits who fly south to Tenerife each winter to escape the cold. 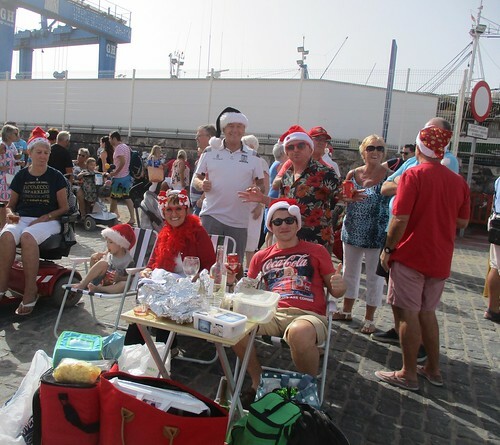 In recent years other age groups and nationalities have embraced the custom, there were well over 100 setting up small tables and chairs along the quayside wall and down on the sand. Wine, Cava, and fizzy plonk corks popped as paper plates and napkins were handed out. 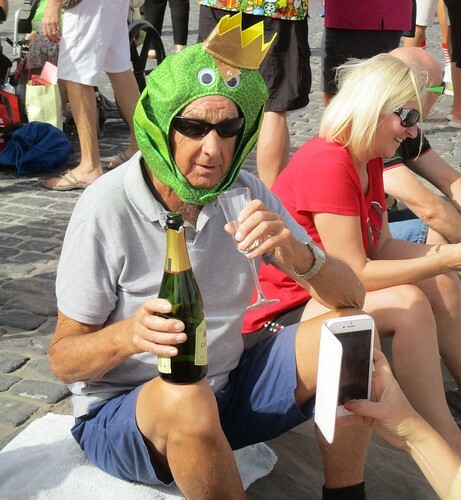 It´s all very organised and the costumes get more bizarre and extravagant every year. Sun worshippers and sea bathers flocked across the beach to see what all the commotion was about, and many stayed to join in the fun. Suitably watered, it was time to strike up the Christmas carols, song sheets had of course been printed out and distributed. The show stopper is always the long drawn out rendition of The Twelve Days Of Christmas, complete with smaller groups surging forward to illustrate their chosen day, the choreography is worthy of Strictly Come Dancing. What a strange creature a local derby is, anything can happen and all reason goes out the window. 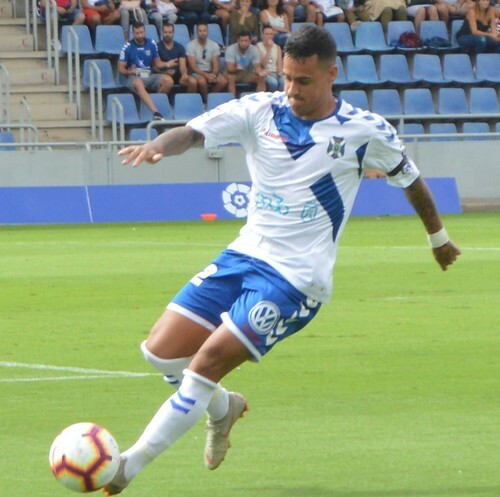 CD Tenerife captain Suso wont argue with the bizarre nature of a 1-1 draw at arch enemies UD Las Palmas, his 84th minute penalty strike squared the game and got him a booking for diving into the 1,500 wedge of travelling fans in Gran Canaria. 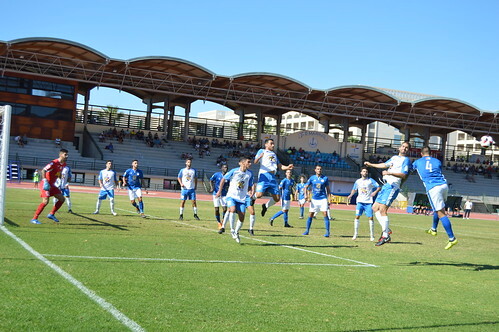 Both teams came into the fixture in poor form but Tenerife had the better of early play. Nano crashed a shot into the diving body of home goalie Raul after just 30 seconds. Las Palmas were keen to shoot from anywhere, Araujo headed over from some way out, and blasted a long strike over the bar. 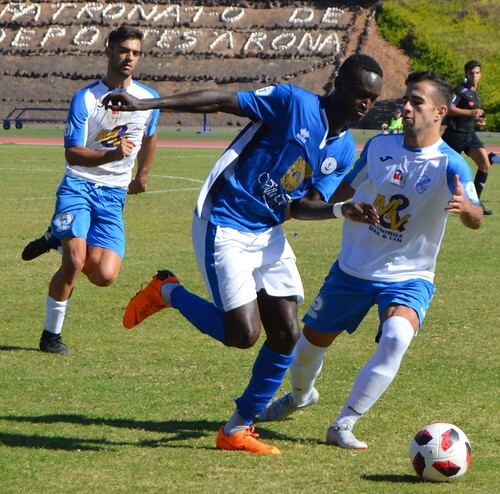 Malbasic got himself booked for a late tackle, earning him a top up suspension for Tenerife´s Friday night end to 2018. 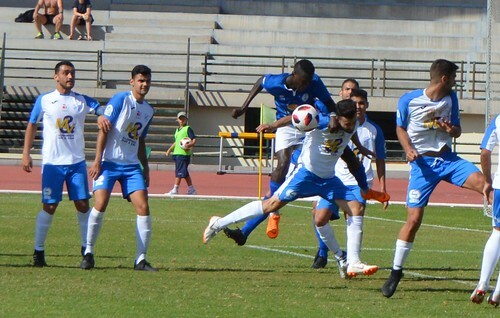 The Tenerife strikers must realise they are in danger of being discarded when the January transfer window opens, it didn´t show in their play, Nano produced a sloppy pass to Malbasic when something slicker was required, and the Serbian forward dithered when Carlos Ruiz found him with a better pass. The Las Palmas goal was down to Camille, after 17 minutes the left back was beaten too easily by Fidel who set up Araujo for an simple finish. A quick response was needed, Nano, playing out on the right, put the ball across for Malbasic but his header was poor. 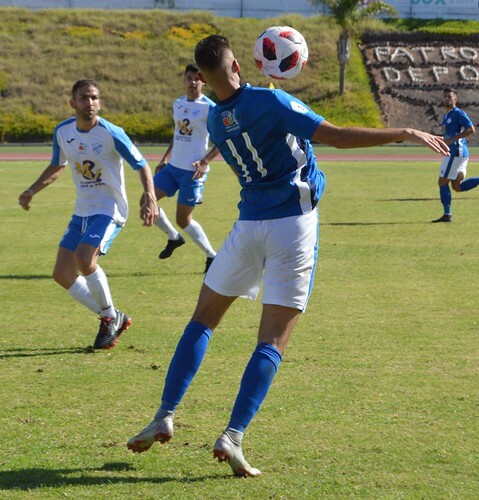 Tenerife were struggling to make an impact and were getting caught up in some typically robust derby challenges. 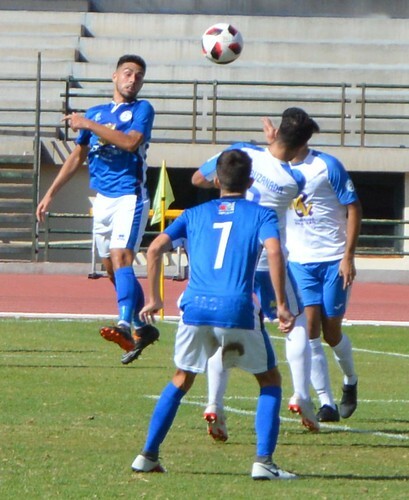 The best chance of levelling came late in the first half when a Bryan Acosta free kick veered off target. Carlos Ruiz showed some enterprise when he opened the second half with a long shot that just missed the post. The ref was a bit unpredictable, he gave Castro an undeserved free kick that Dani Hernandez tipped aside in style. Raul Camara had to be replaced after 55 minutes after getting a knock in the mouth, Suso came on to bolster the attack as the back five became a four. Dani Hernandez denied Araujo again, and Camille made partial amends for his earlier error by heading out a dangerous home shot. 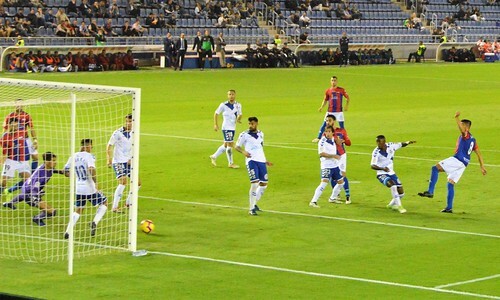 Encouragement was on hand for Tenerife when Garcia handled the ball and was sent off for a second booking. Malbasic spurned another half chance and there was a delay as Nano was treated and then taken off after a heavy blow to the neck from Timor. 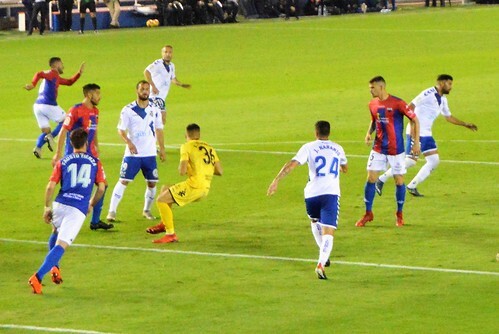 The previous week, the ref had denied Tenerife a clear penalty, with the arrival of VAR not due in the Second Division until next season, this weeks ref gifted Tenerife a penalty for a hand ball. It was a shocking mistake, if the defender had a hand where the ref said, he would be in a circus. After much arguing by the Las Palmas players and staff, Suso focused his mind and slotted the ball past the goalie. 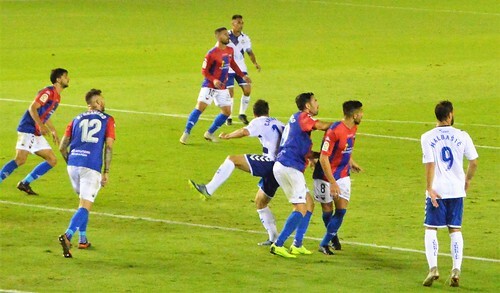 The captain´s reaction was all about his passion for his home island team, he was the first Tenerife born player to score in a derby game since 1989. The Nano injury and penalty row meant seven minutes of added time, Las Palmas feared it more than Tenerife. It could have been an away win, Acosta had an easy finish at the far post but skewed his shot wide just before the final whistle went. That still leaves Tenerife in 17th place and one point above the relegation zone. 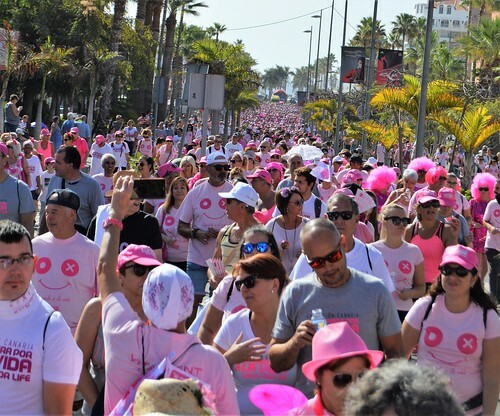 Take a great cause like the fight against breast cancer, add an army of dedicated followers, and unleash it on the streets of south Tenerife. 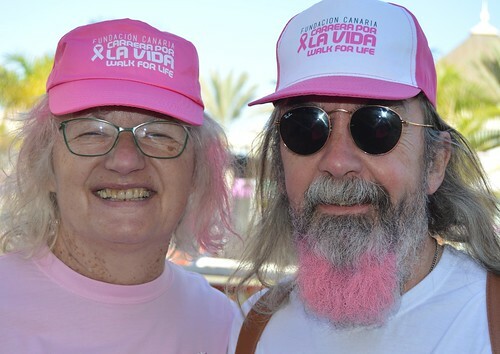 That´s what happens when the annual Walk For Life (Carrera Por La Vida) links Arona and Adeje, the 2018 vintage was sweeter than ever and attracted a record 5,000 walkers that raised a staggering 35,500 euros. 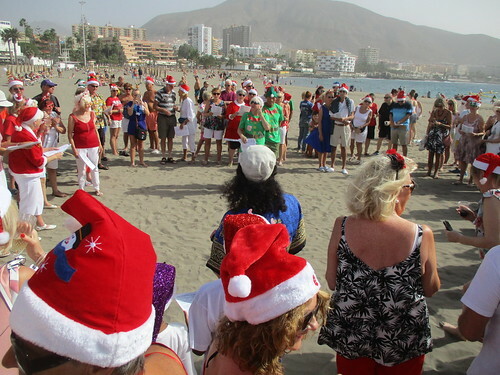 This years start point was the Golden Mile near Los Cristianos, it was buzzing even an hour before the set off time. 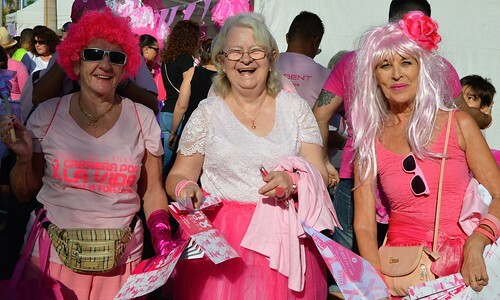 Pink is always the colour of choice, and it burst forth in t-shirts, hats, beards, wigs, and make up. 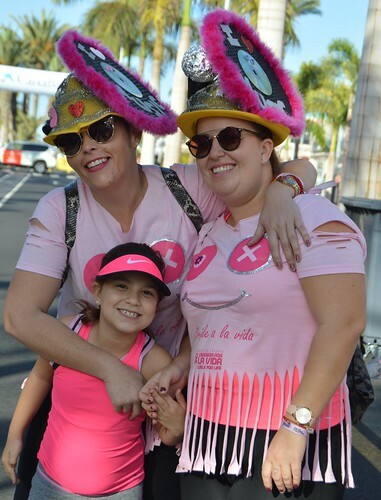 As breast cancer touches so many lives, the walk always attracts a wide cross section of nationalities, ages, and even pets are called into service. 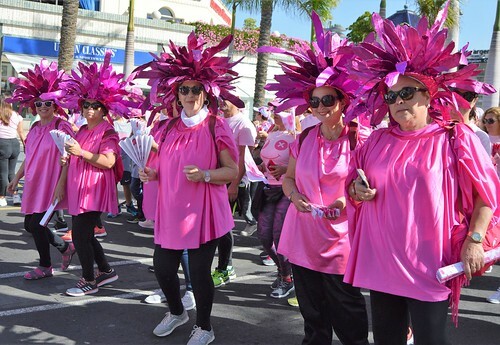 Many new comers are surprised at what a joyous event it is, hope is the big theme, early diagnosis and medical advances ensure that breast cancer doesn´t have to be a death sentence. 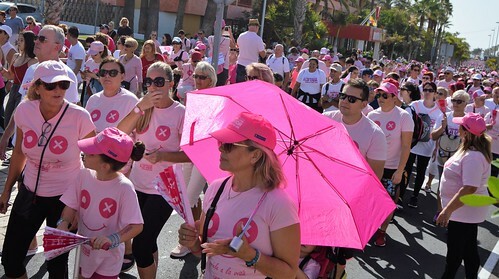 Those who have lost loved ones walk as a tribute to those who didn´t survive, and also as a defiant assertion that cancer will be tamed. Just entering the gathering point is uplifting, so many friends, so much caring, and so much love. 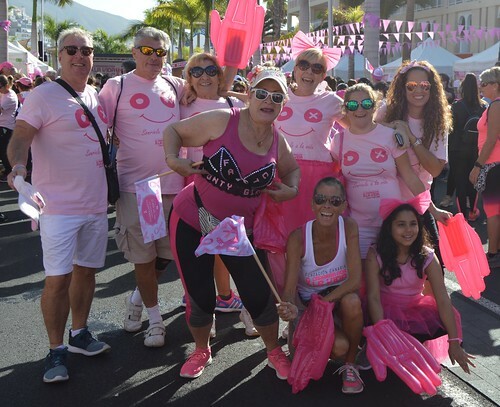 Music helps to pump up the walkers, the stage featured Tenerife singer Agoney, and dance teams to lead a grand bop to loosen up those leg muscles. 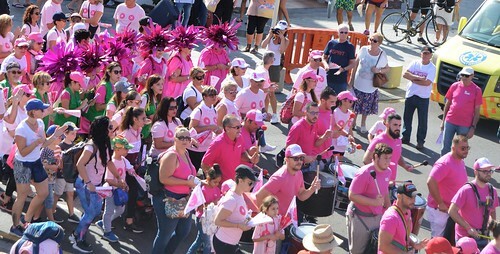 Canarian drum groups laid down the beat as the pink procession weaved its way through to Playa de Las Americas past the bars and restaurants. 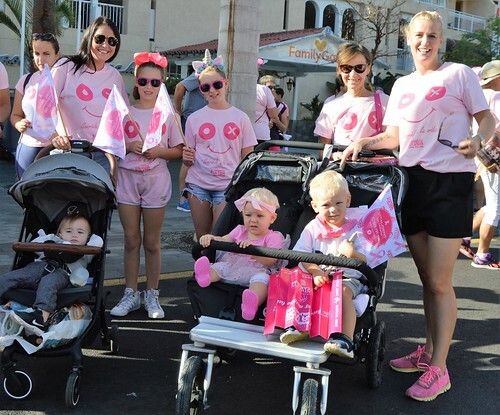 Looking back it was difficult to see where the pink ribbon ended, holiday makers were caught up in the spectacle and donated to the growing funds. 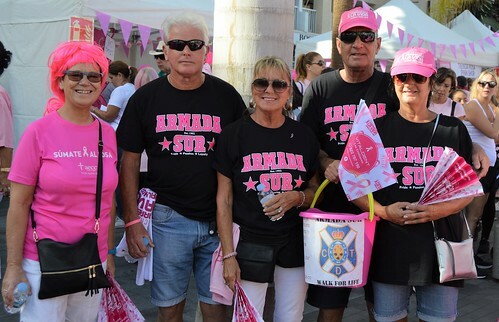 Organiser Brigitte Gypen led from the front with the mayors of Arona and Adeje also in the vanguard. It took just over an hour to reach the finish point at Plaza Salytien and even then it was a long time before the rear guard caught up with the early arrivals. More music, bananas, water, and snacks, provided by sponsors helped to replenish the batteries of the eager army. 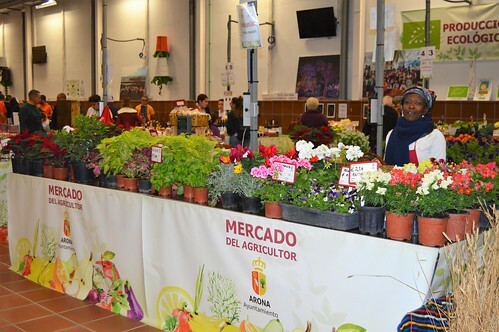 It´s hard to think of any movement that has made such a big impact on the south of Tenerife, and it looks set to keep growing each year. 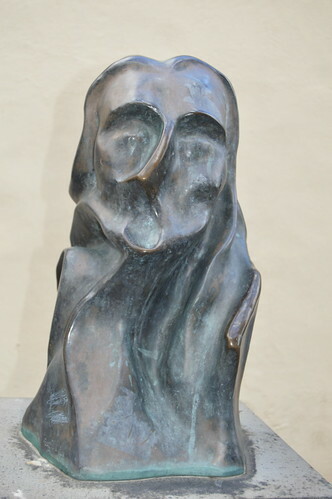 In terms of raising awareness, it can´t be ignored, in terms of raising funds, it can´t be beaten, and in terms of offering help and hope, it can´t be equalled. Big thanks to everyone who played their part – see you next year. 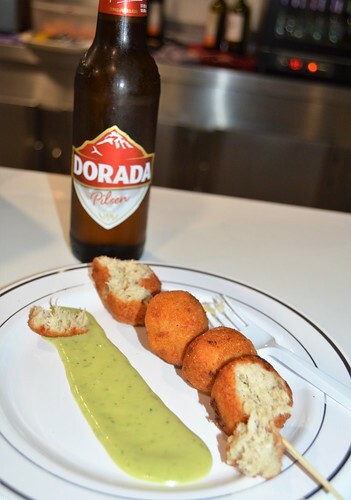 If Christopher Colombus could discover America after a stop off at the island of La Gomera, I felt I should at least do a little local exploring in the island’s capital city of San Sebastian. 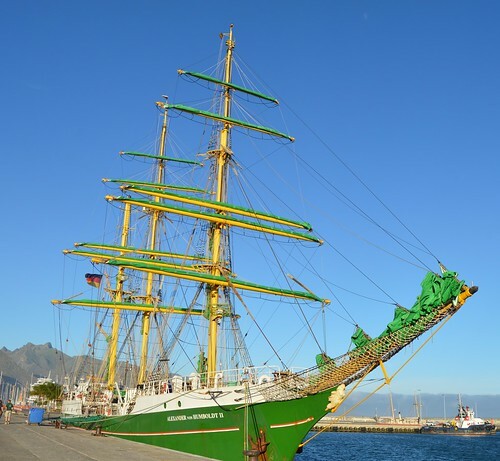 With the 28 crews of the Talisker Whisky Atlantic Challenge heading for Antigua, something at least a little energetic was called for before taking the ferry back to Tenerife. 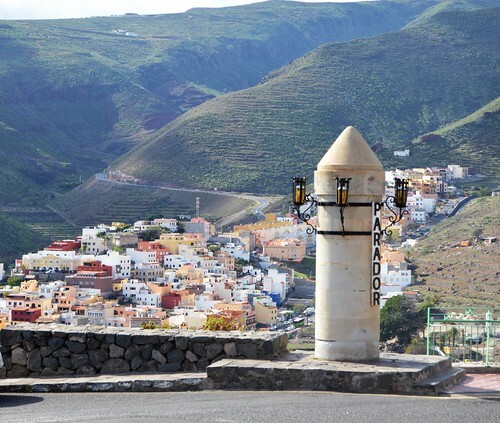 The Mirador de la Hila had already offered me rewarding views of the marina but after taking the steep stone steps up from behind the main plaza I was determined to press on up the corkscrew road. The views kept getting better, not just seawards but also inland to the folds of the hills. A tight corner brought me to the edge of an old parador, followed by an old water mill undergoing a facelift. 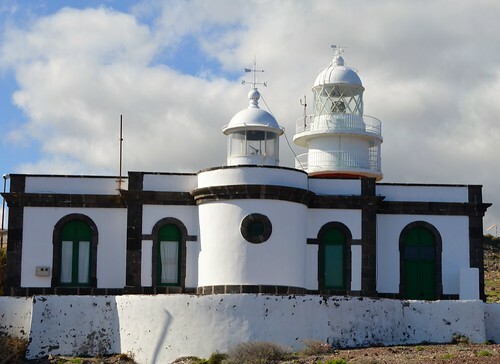 I was on the cliff top road and the sign Camino del Faro showed me that I was on target to see the lighthouse I craned my neck to see on the ferry over. There was a nice mix of old houses and new developments, tastefully kept to just two storeys and without any garish colour schemes. A couple of little shops and bars were shutting for an afternoon siesta, and the sun and gentle breeze wafted me along in a contented mood. The pink and white lighthouse stood proud but once I got closer I could see an older, squatter guardian nearer the cliff edge. 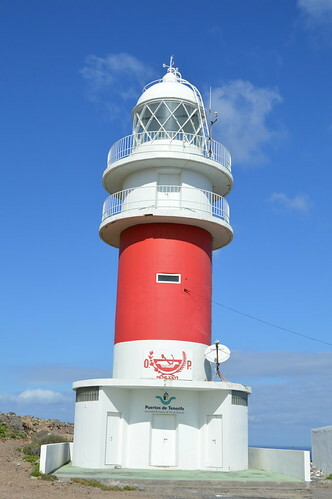 The smaller version was built in 1903 and originally used combustable gas before being replaced at a later date by the more familiar style of lighthouse. It was very like the dual set up at Malpais de Rasca in the south of Tenerife. A tight, winding path carried on past the delightful buildings, and a craggy coastline threw sea spray up far below. I slowly retraced my steps and noticed a small, leafy plaza, a few steps up from the road, two local old chaps were playing dominoes and enjoying a couple of cold beers. Back down at street level I had a wander down the main street from the plaza, looking up I could see a white cross on another hill, something to check out on my next visit. 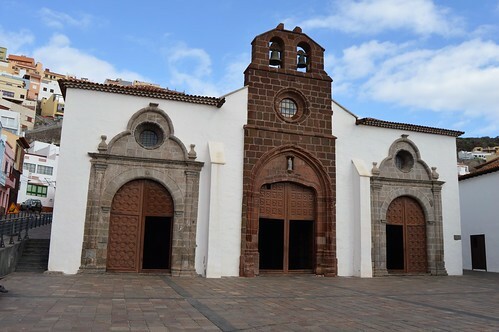 There were two churches on the quiet road, the large church of Assumption, and the tiny Ermita of Guadalupe. 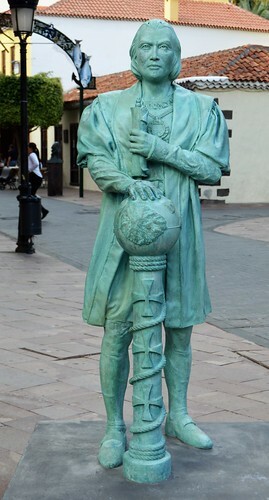 La Gomera is very proud of its association with Christopher Columbus (Cristobal Colon) there was a small bust of the great explorer near the sea end of the street, best described as “different”. It looks like I feel some weekend mornings and was unveiled in 2006 by King Juan Carlos and Queen Sofia of Spain. A much more noble tribute is the new full size statue near the plaza, unveiled in summer 2018. 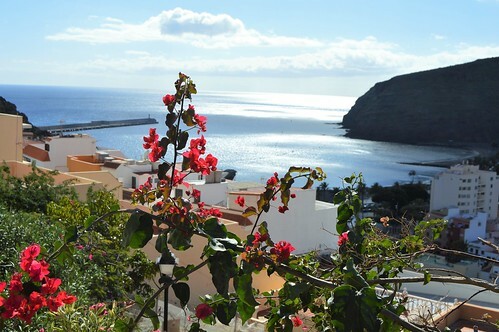 For such a small island, La Gomera packs in plenty of history. 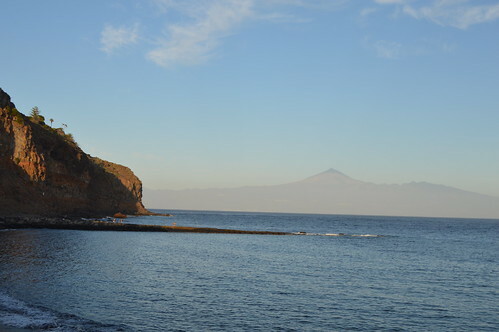 Through the archway cave on the far side of the ferry port, the Playa de la Cueva looked sedate and inviting, the view of Tenerife and Mount Teide differs from day to day depending on the weather. The old restaurant on this side has been closed and neglected for years, so it was a good sign to see workman repairing the surrounding courtyard. It meant that access to the rocky outcrop was closed, there is a metal bowl at its peak, it was lit up with a beacon from the Olympic torch for the 1968 Tokyo games, and the 50th anniversary was celebrated recently. 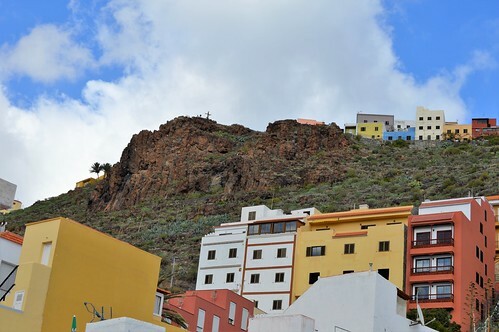 The rest of La Gomera is equally pleasing, I must revisit other points on the island, I checked out the bus station and Vallehermoso in the north is just a 75 minute ride away, and there are plenty of good walks to check out. My last trip around the island was shadowing a British Cycling team, those hill roads are real thrillers. 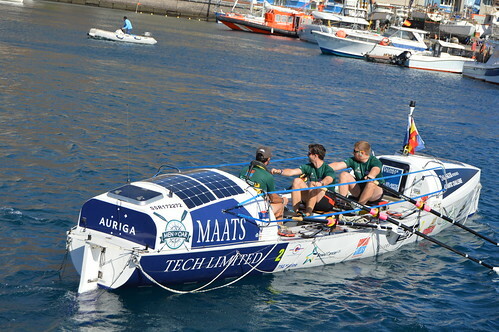 San Sebastian in now firmly on the rowing map, another Atlantic Challenge takes place next year. 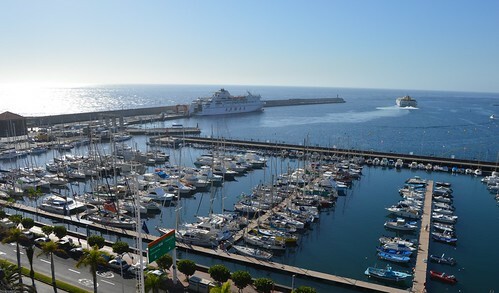 The 45 minute crossing back to Tenerife was smooth and the ferry was quite full, La Gomera has won plenty more new admirers. Bloated with food and drink, maybe snoring a little in front of HRH on the telly. Suddenly a jolt and a slap of salty water and they’re back in the real world, facing 40 foot waves, aching muscles, and curious creatures of the deep. 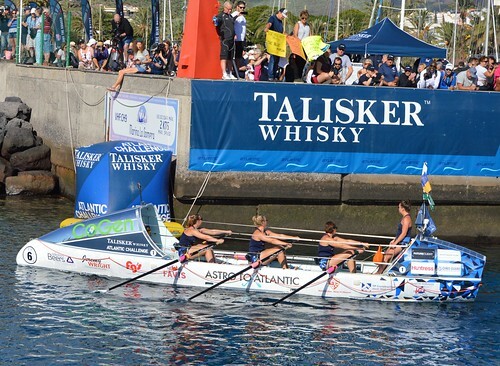 That’s the festive scenario for the 28 crews in the Talisker Whisky Atlantic Challenge, the rowing race that set out from La Gomera on 12th December, bound for Antigua, 3,000 miles away. 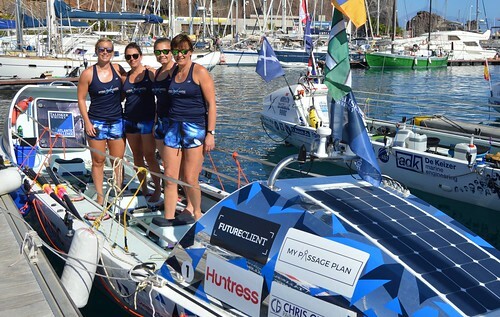 I had the pleasure of meeting the crews in the marina in San Sebastian, a few days before they got into their cramped 8 metre long, 2 metre wide boats. What an incredible collection of people, here’s a quick look at some of their Christmas plans and their reasons for being so far away from the rustle of brightly coloured wrapping paper. The festive season will still be jolly for the four female crew members of Astro To Atlantic from Devon. 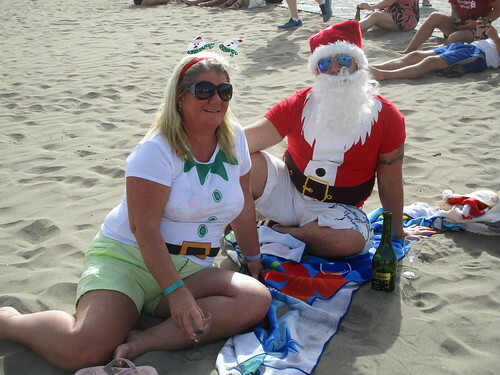 Helen Symons has a Boxing Day birthday to look forward to, and Louise Read her 50th birthday on New Years Eve. Sharing a passion to play hockey for Kingsbridge & Salcombe, the ladies are reaching high for the Devon Air Ambulance Trust after seeing the good work they do. Two on, two off rowing shifts will allow some sleeping time in the cabins as they set a cracking pace with the four mens record of 37 days as a guideline. 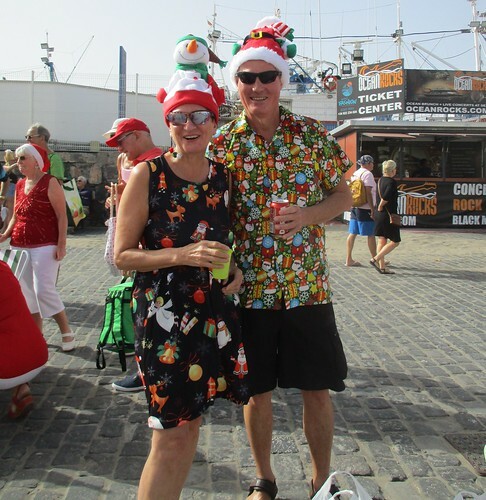 Their special treats will be revealed from a stash of Santa snack bags, two of the crew admit to problems with sea sickness but hopefully that will be conquered in the early days. 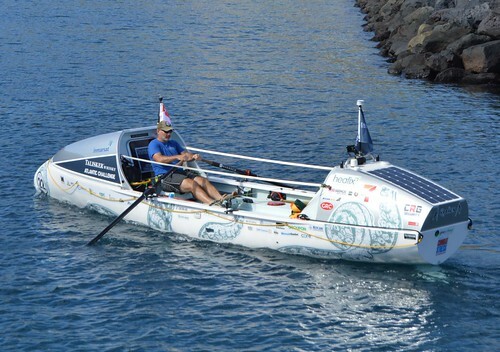 Kelda Wood (above) from Shropshire has more room as a solo rower in Row To Raise but will have to be strong to cope with isolation and sleep deprivation. Catching sleep as the boat drifts is not a recipe for sweet dreams, and the sudden siren warning of near obstacles will lurk in the back of her tired mind. Kelda is a survivor, a love of horse riding turned sour when a heavy bundle of hay fell on her and nearly robbed her of one leg. That was in 2002, since then Kelda has recovered well and despite having a fused ankle she has hit life full on, including climbing the 6,900 metre Aconcagua mountain in Africa. Helping others to overcome physical and mental setbacks through her charity Climbing Out is her driving force, and her “crew mates” will help to make Christmas Day special. M.P the penguin is a gift from her niece, and Hardy will remind her of her own full size dogs. 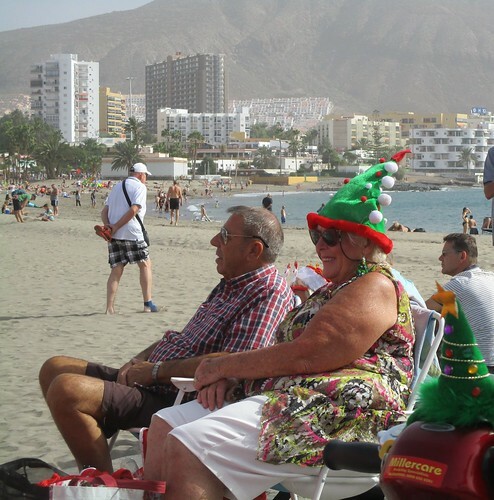 An inflatable Santa, and a boisterous sing song will confuse the seagulls but keep her mind positive. 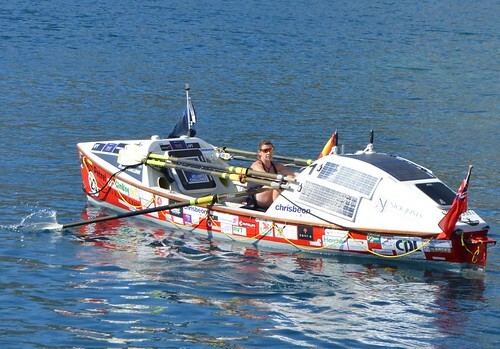 Tim Crockett (above) moved from his native Hereford to Atlanta to get married 13 years ago but was lured home to train in his UK built boat, Tame The Kraken. The former marine and SBS veteran admits to having that sinking feeling when on a boating trip with the Hereford Rugby Colts as a youngster. Chopping the days at sea into six blocks of four hours, Tim will judge his sleep breaks according to the call of his body, and trust in a para anchor, a device that operates 20 feet below the sea´s surface to stop drifting. Combat Stress and Support Our Marines will benefit from his fund raising drive. Tim has a Christmas cake stashed away, but he will have to ration himself so it can deliver another lift for his New Years day birthday. Not a crumb will be wasted from the rowing crews morale boosting morsels, and that´s music to the ears of the two woman crew of Whale Of A Time. Jemma Rix from Colchester works in the food industry and is passionate about cutting down food waste. 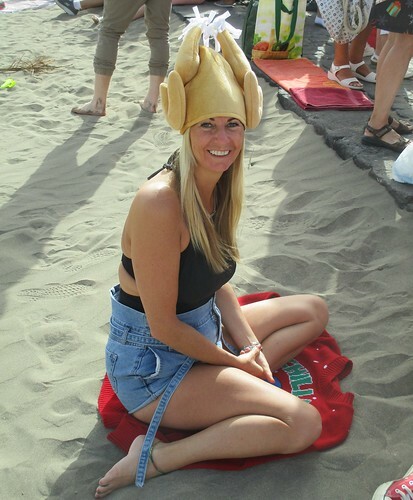 “Most of our 500 dehydrated meals on board have come from what is often discarded as surplus, with good management and care so much food can have a longer use.” That expertise has given the ladies a real taste of yuletide tradition, they have dehydrated turkey to brighten their big day. 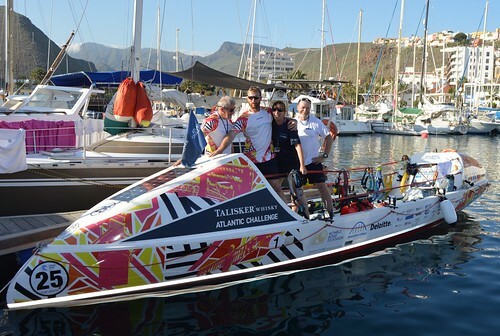 Team Tyne Innovation are a mixed foursome of three men and one woman, and were late in completing their line up after a series of setbacks. 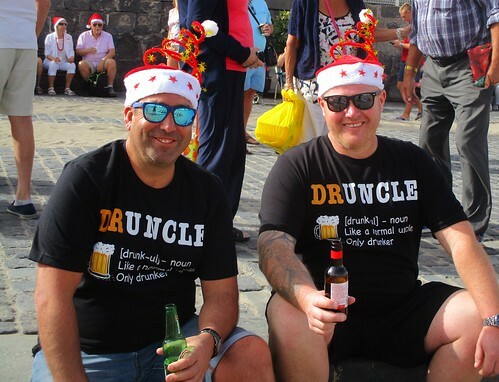 Tyneside locals Phil Kite and Kate Hughes were joined in April 2018 by Steve Sidaway, and Allan Huntly from Stirling. Phil is confident that they have the right pieces in their jigsaw. “Fate has dealt us a good hand, we are going to enjoy the challenge and trust and understand our instincts along the way.” They have had help from sports psychologists and will have a crack at the mixed four record of 56 days. They are using the trip to showcase a range of north east talent, the boats paintwork is from Gateshead, and the design is from Newcastle, it certainly catches the eye. 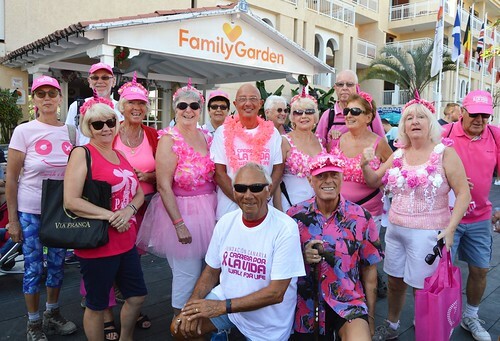 Their charity is Daft As A Brush, offering practical support for cancer patients. Light relief from relentless rowing will come in the form of Secret Santa surprises including hats, false beards, and even a cigar or two. 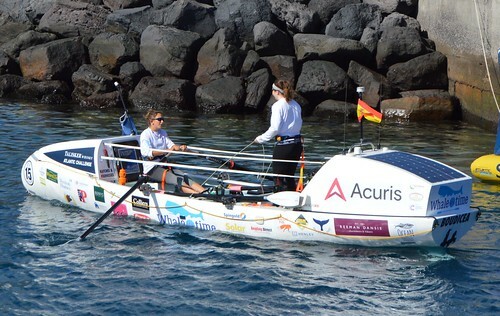 Although the record finish for the Atlantic route stands at 29 days and 14 hours for a solo rower, it´s more of an endurance test than a race for most crews. The last finishers after a few are inevitably forced to cut the journey short, will take up to three months and have a lot of sleep deprivation, extreme weather, mental anguish, and disorientation to deal with. 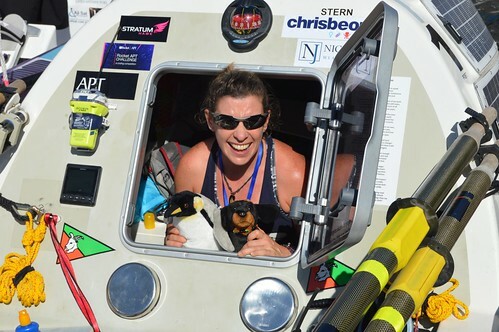 Even the build up of raising funds for boats and equipment before chasing donations to their charities, and training, are punishing but the journey will dish out new emotional highs and lows on a daily basis. 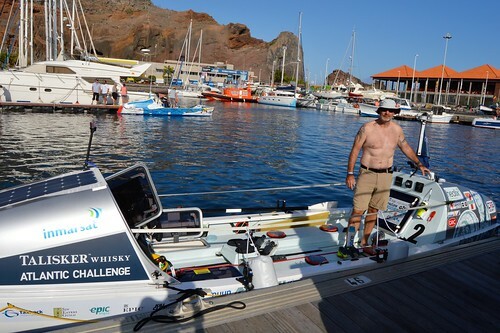 The drama started early for Yorkshire team Men Of Oar, they found a small split on the join of the hull and had to return to the marina after just a few minutes, thankfully they repaired and regrouped and went out a day later. 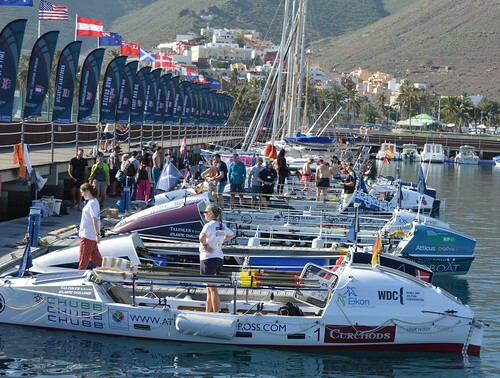 You can track the race here, and donate to the above mentioned causes at the links on their boat names. They are all heroes. Referee Ramos will find his mantle piece void of Christmas cards from CD Tenerife players and fans this festive season. More carrots with his turkey dinner are needed to improve his poor vision, he was the only person in the stadium who didn´t see Alex Barrera mug home sub Joao in the penalty area with 5 minutes left to play. As Joao did his best Victor Meldrew rant, the ref waved play on and the game ended 0-0 against Extremadura. It was another poor home performance and with only two more games before the January transfer window, some players edged further towards the exit door. 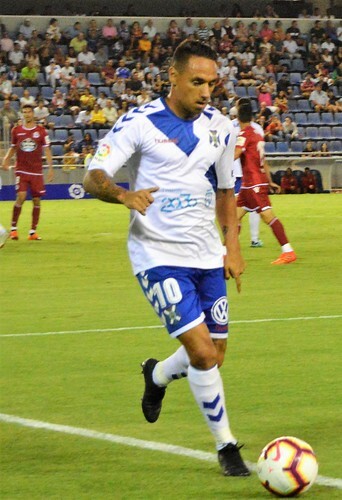 Defensively, CD Tenerife did well, Raul Camara put in a sprightly performance for the injured Luis Perez. Camille needed to lift his form after recent slack showings at left back, he looked much better, starting with a well timed kick out from an Extremadura header at the post. 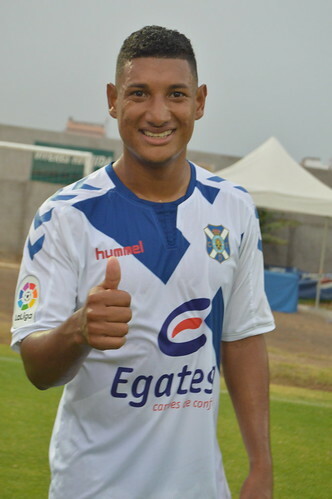 Camara made his mark with a robbing tackle on the Segunda Division top scorer, 14 goal Enric Gallego. Suso was back in the starting line up, his threaded pass to Malbasic created the first home chance but the big Serbian striker shot at the keeper. Pardo wasted a clear opening by blasting the ball high and wide. Naranjo was looking his usual casual and ineffective self, a silly booking means he misses the derby game. Extremadura started the day just a couple of league places above Tenerife and needed a win, they were over reliant on Gallego and Alberto had him in his pocket for much of the game. Dani Hernandez also thwarted the hot shot by coming out to rob the ball off him. Suso and Naranjo both spurned decent late chances to leave the 9,313 crowd in low spirits at half time. There was no lightning start to the second half so coach Oltra brought on Nano for the below par Montañes. The local born striker looked lively and could have scored within a minute after Malbasic powered through and slipped the ball across, Nano could only get a half touch to it. Some patient build up play from Tenerife hinted at better things but Undabarrena fired his shot skyward. Naranjo snapped out of his daydreams long enough to get behind the Extremadura defence and lay the ball off to Nano for a wayward header. The red and blues were uncomfortable with pace so Oltra added flying winger Joao in place of Suso. 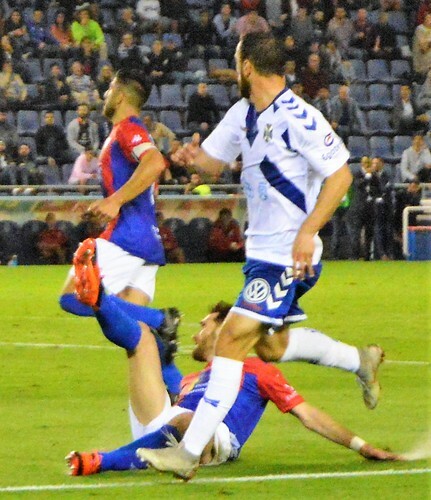 There was always a risk that chasing the game might let Extremadura in, Zarfino floated a cross in for Alabe to slide onto, Dani got his body behind the ball and blocked an attempt. Joao looked odds on to at least test the goalie after weaving his way into the box, Barrera´s cynical charge was laughably obvious but the refs lack of action was far from funny. A late flurry could still have produced a winner. Gallego found some room and let the ball fly, Dani was down fast and covered the danger. 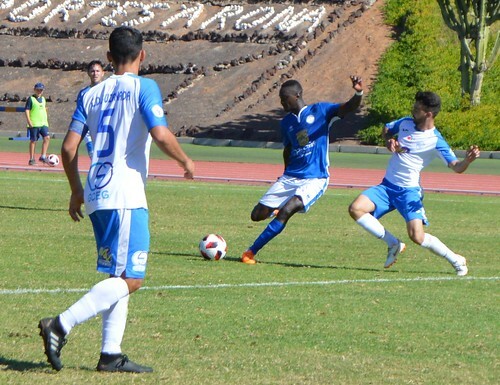 Last Tenerife sub, Tyronne, got the ball to Malbasic on the left, he beat a defender before crossing into the centre, Nano´s shot was weak and easy meat for the keeper. It was a frustrating way to end the night, those goals just wont come, new strikers are needed, hopefully new sporting director, Victor Moreno, can conjure up a nugget in the transfer window. 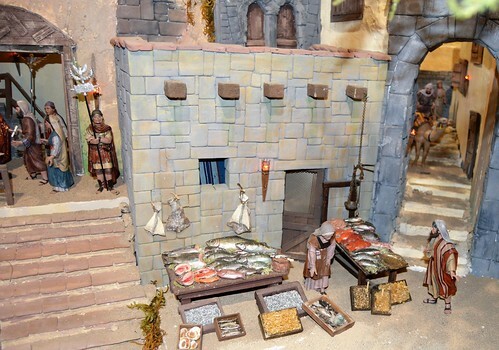 Michael Bentine´s Potty Time sprung to mind as I towered over a Roman soldier keeping a watchful eye on a fish stall, and sheep crossing a bridge from a market. 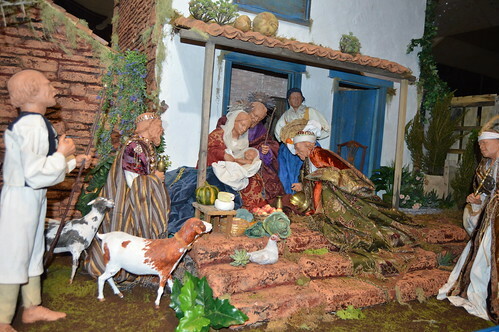 The delicate christmas music tinkling in the background was the clue that I was visiting the first of the belenes (nativity layouts) on my pre festive tour of Tenerife. 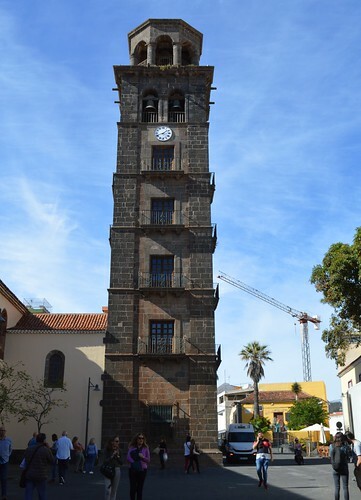 This first port of call was the Casa de Los Capitanes just a short stroll from the tram terminus in La Laguna. This one is open Monday to Friday 10 to 2pm, and 4 to 8pm, only the morning hours on a Saturday. 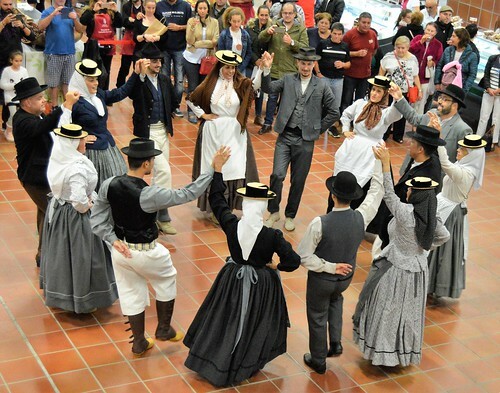 Traditions are nice, and although I´m lacking in religious fervour, I enjoy checking out the good, the bad, and the tacky. 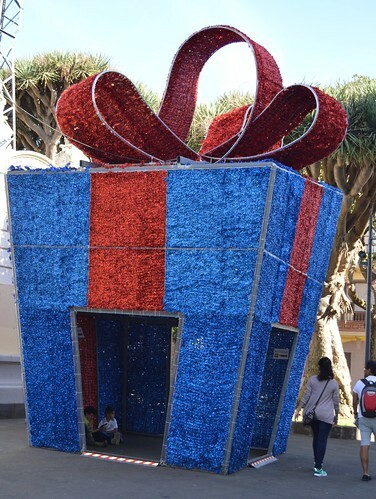 Understated is often better, a waxy silver sprayed tree in the main shopping street caught my eye, but a giant blue and red present box left me underwhelmed. There was also a mixed response to the christmas market outside the glorious cathedral building. The food looked yummy but the garish coloured plastic tree seemed a bit out of place, and I couldn´t work out why they had sewing machines away in a manger. For a nice overview of the city, I paid a measley two euros to climb the five floors of the tower of Our Lady of the Concepcion. I could see as far as the north airport and also down the shopping streets, Gran Canaria (heaven forbid) lurked in the distance. 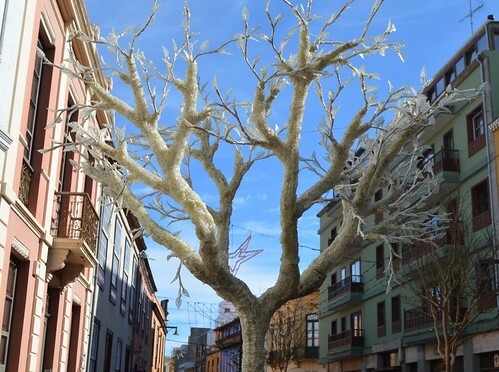 I was a bit upset by the noticeable rise in graffiti in the main shopping streets, Santa Cruz issued 200 fines this year against roque scrawlers, maybe La Laguna should follow their lead. The tram ride back down to Santa Cruz was smooth as always. 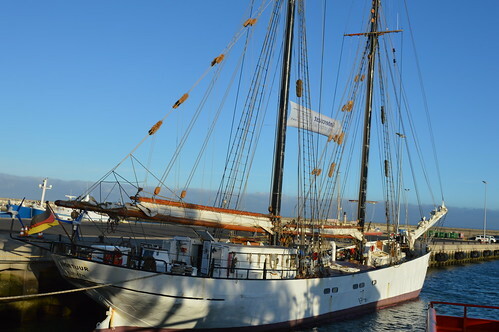 A walk around the port added two new visiting ships to my collection, the slightly rusty Avontuur, a 1920 built cargo ship from Holland , and training ship, Alexander Von Humbolt 2 training ship also from Holland. The massive staging was also going up ready for The Jacksons upcoming concert, and the traditional Christmas Night free concert featuring the Tenerife Symphony Orchestra. By then it was time to say hello to a few more belenes, starting with the Cabildo (Tenerife government) building by the Plaza de España. This was very nice with lots of small scenes of everyday rural life packed in. Times are 9am to 9.30pm with an hour closed from 3 to 4pm. 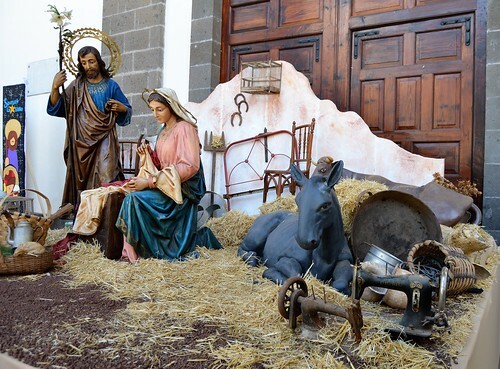 Only the first belen in La Laguna has a donation box, a shame as most people would gladly pop some loose change in a charity box. Last of the Santa Cruz haul was the Fundacion Caja Canarias bank display in their big HQ building in Plaza de Patriotismo. This is always a favourite of mine as the light ebbs and flows to make the tall landscape pass from day to night in quick rotation. The little ponds have live fish in them, and the figures of workmen move and perform manual tasks. Aim for 10 to 1.30pm, and 5.30 to 8pm weekdays and Saturdays, with 10 to 1.30pm on Sundays. That left me time for a wander around the shopping heart of the capital city. 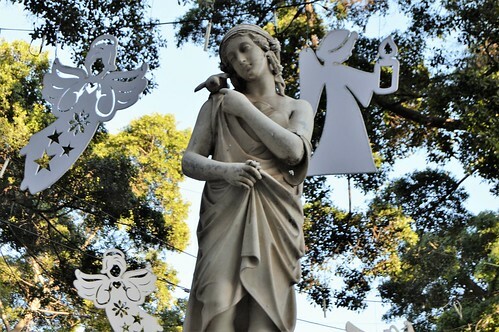 The festive lights burst into life prompt at 6pm and are a bit different this year, with giant baubles, and angels floating among the tree tops. How splendid and magical it all looked, unfortunately the magic was a little missing when I moved on to my main event, CD Tenerife v Extremadura, a painful 0-0 draw. Hopefully Santa will bring some new players for January and sprinkle some stardust on our season. Skill alone is not enough to make a winning team. Hard work, good attitude, and working as a unit all play their part, CD Marino are now showing these qualities and the results are coming. 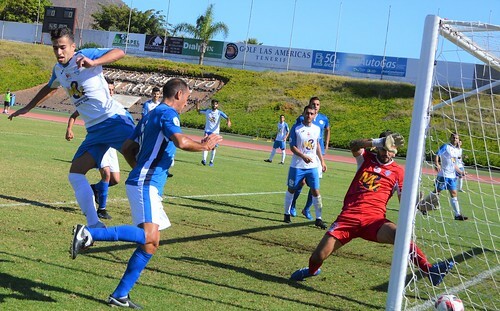 This injury time 1-0 home win over Buzanada was richly deserved and the players are growing in stature each week. 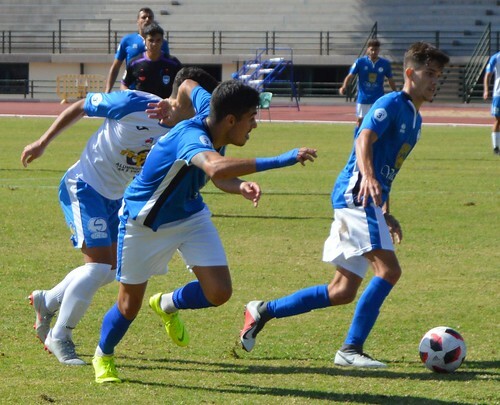 Even if Jonathan Sesma´s last gasp break through hadn´t arrived, it would have still been an impressive performance from both sides in a good old fashioned, hard fought local derby. Even the crowd showed an improvement,up to 400. Buzanada brought good support with them and there were also quite a few curious visitors keen to see latest signing, Mylan Carrasco, brother of Belgium star Yannick. Playing on the left wing he fitted in well and bought into the updated game plan of coach Zeben Hernandez. The goalies were destined to make a big impact on the game, David responded well to his first minute test, and Edwing was equally decisive for the visitors to repel a Favarel shot from a Jony Cabrera right wing cross. Young right back Niki is playing like a seasoned veteran, quick to break, but always ready to clear danger, an early tap back to David snuffed out a Buzanada raid. Javi Gonzalez makes a powerful target man for Marino, Edwing had to be strong and quick in his duels with Javi for the high balls. Buzanada were looking for quick breaks to get at the home defence, Favarel dealt calmly with a twin assault as the white shirts surged forward. 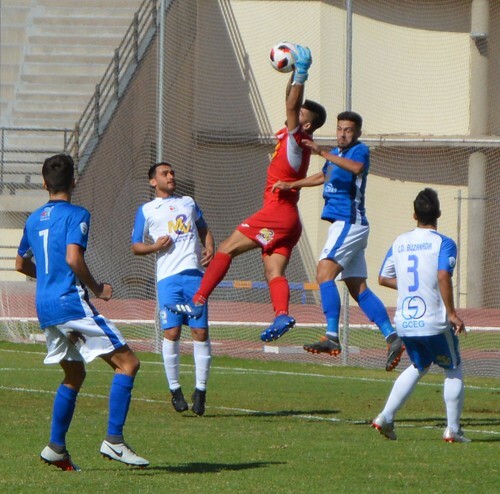 Ahmed is another player who has made big strides, he gets involved all the time, is difficult to shake off the ball, and will take a shot at goal from anywhere. 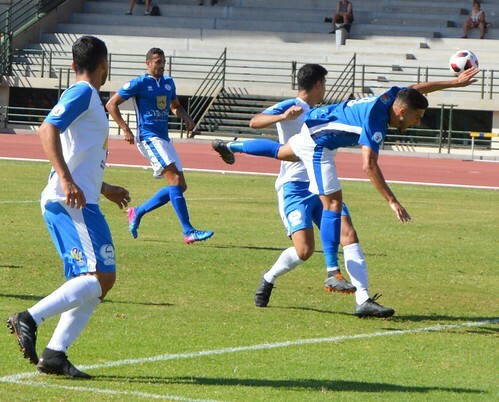 Juan and Benito were dangerous up front for Buzanada, they conjured up a low shot that David mopped up well with a decisive dive. Juan went close again as he squared up to David for a high ball, the home goalie stood tall and blocked the forwards aim. Just after 20 minutes, Buzanada were fuming after being denied a penalty. Arturo beat Saavedra and made to shoot, David stretched and cleared the ball from his feet. The attacker went down claiming David caught his foot, the ref thought otherwise, it looked a close call and the feeling of betrayal simmered for the rest of the game in the Buzanada players, and added more spice to an already hard fought contest. Lionel set up a clear chance with a soaring free kick, Erwin rose to meet the ball but his header went wide to further frustrate the visitors. Guti had a similar experience for Marino, his floated corner found the head of Ahmed but his downward nod didn´t trouble the keeper. Mylan´s influence had been growing through the first half, winning balls in the air, and chesting them under control, he kept a good supply channel open. After the break, the new boy came close to adding to his previous weeks debut goal at Ibarra, this time Edwing blocked his attempt. David was having an exceptional game in the home goal, his anticipation was first class, and he commanded his area, dribbling the ball out and away for a throw in cleared another danger. Buzanada had another, lesser shout for a spot kick, they were awarded a free kick on the edge of the Marino box but claimed the foul was inside. The claim hardly ruffled the home feathers, Antonio Samuel went flying up to the other end of the pitch and dropped in a lovely cross, Javi Gonzalez jumped for it but had to give second best to Edwing. 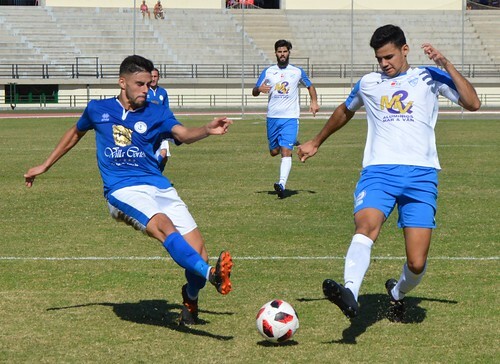 Mylan will need a few games to get his full sharpness back, he was replaced by Jonathan Sesma after 67 minutes as the sides continued to struggle for top billing. Djavan came on for Javi Gonzalez a few minutes later, another of the youth prospects, Djavan was looking to add to a goal for the B team the day before. Borjita had his own ambitions to score for Buzanada, David was in place again to keep him at bay. Sub Antonio spotted an opening for the visitors but was squeezed out by two Marino defenders, that brought another hopeful call for a penalty, the ref wasn’t even tempted and showed consistency a few minutes later when Diaz and Meñe closed out Djavan in an almost identical way. Sesma had been making Buzanada nervous with a series of dangerous corners, he went one better deep in injury time, by chasing across and squeezing the ball between goalie and post to ignite wild celebrations with his team mates. Buzanada didn´t have time to mount a serious late charge and trudged off with a few hard stares for the referee. 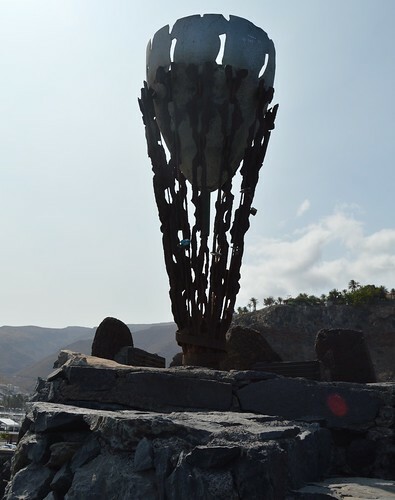 Senses were on high alert as the free Arona council bus dropped us in Valle San Lorenzo, just 20 minutes drive from Playa de Las Americas, and Los Cristianos. 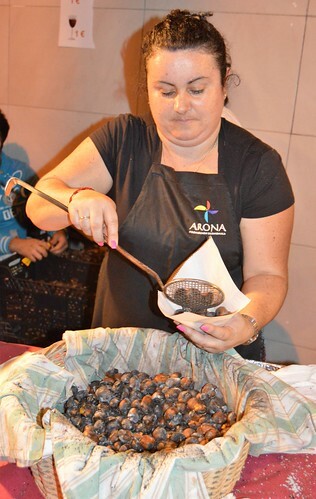 Tenerife loves to celebrate the traditions of Saint Andrew (San Andres) every 30th November, and the smokey smells combined with music, and the taste of chestnuts (castañas) drew thousands of revellers to the main street and Arona Farmers Market (Mercado del Agrucultor) of this popular town. 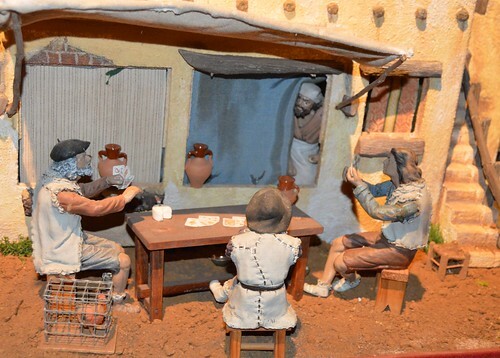 San Andres is the patron saint of wine and this is the time of year when the magic liquid reaches its peak in the barrels that are cracked open and bottles filled. 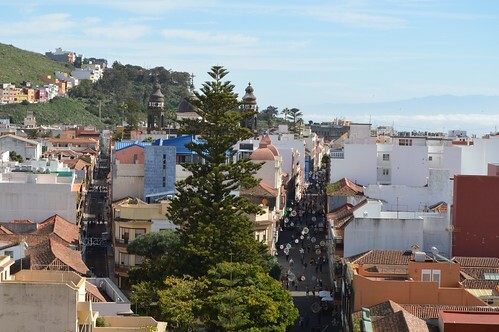 At key points around Tenerife, such as Icod de Los Vinos, the wooden barrels are traditionally broken into makeshift karts to clatter down the steep streets during the celebrations. 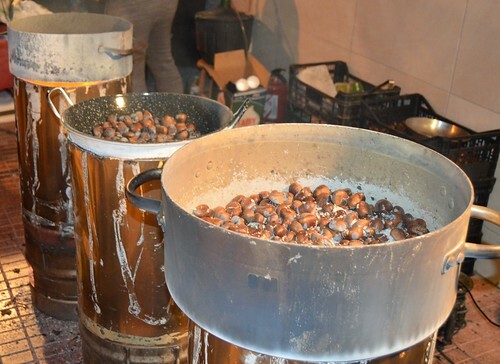 It was a bit more sedate in Valle San Lorenzo with wine served at the outdoor braziers where the chestnuts were cooked in cauldrons and pans. 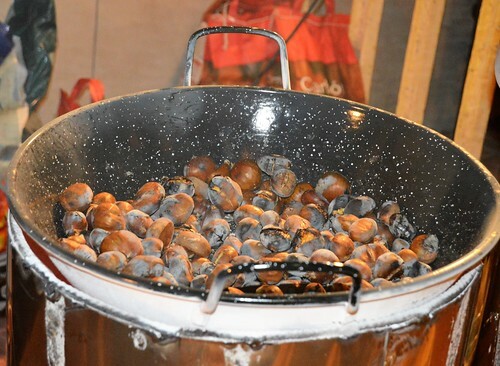 Wine and chestnuts were being snapped up in small one euro, or larger two euro plastic glasses, and paper bags, also with those same price and size choices. The queues stretched up the main street under the newly christened christmas lights threaded through the branches of the trees. 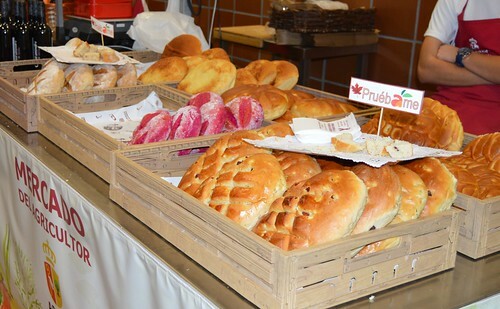 Just over a year ago, the Farmers Market was launched, the indoor hall provided a great central point to sample and buy local produce like vegetables, cheeses, bread, flowers and much more from 60 stalls. 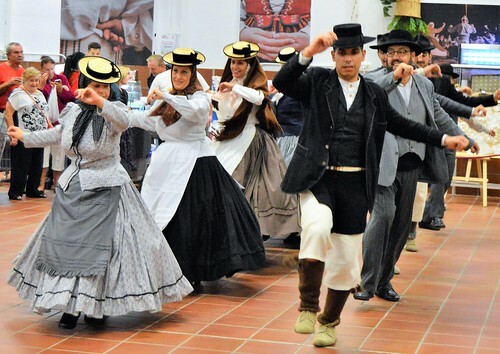 The Canarian folk group from Chasna provided a musical treat with traditional costumes and dancing, and children were distracted with art projects and even marzipan and chestnut modelling of animal figures. 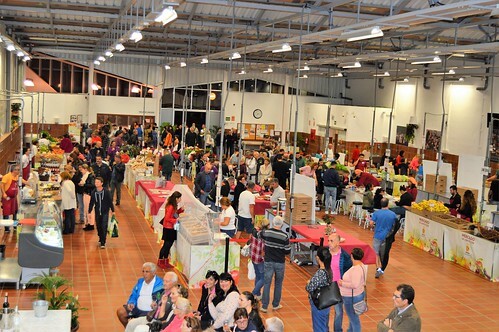 Every Saturday and Sunday the market is open to the public from 8 am to 2 pm with free parking next door and a free bus service from Playa de Las Americas through Los Cristianos and Chayofa from 10 am until the return run from 1 pm in Valle San Lorenzo. 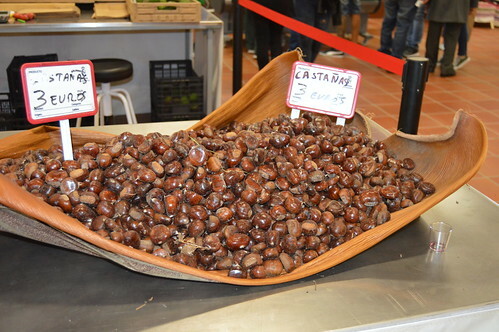 A guide leaflet for the chestnut night listed six local bars and cafes offering a selection of chestnut influenced tapas snacks. 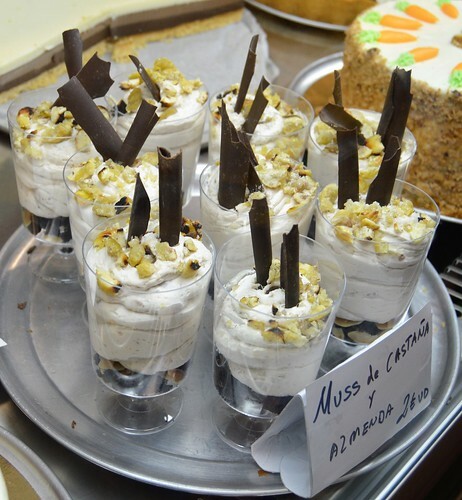 I needed no encouragement to dip into such delights as chestnut mousse, croquettes, and chestnut ice cream. 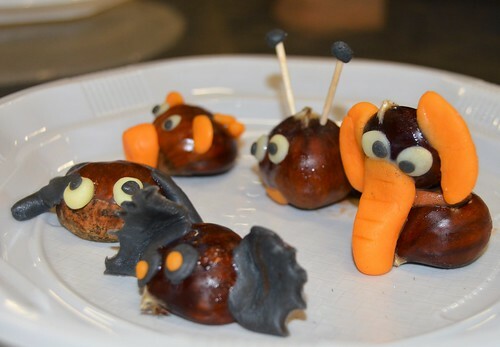 All that creative effort was much appreciated but my warmest glow came from the anticipation of queueing for a bag of chestnuts as the red hot favourites were scooped into an open paper bag to cup in my hands before picking the shells off and tasting the glorious flavour inside. Elsewhere there was a large childrens play area where the youngsters were being shown how to make a snake of old cans to drag down the path. The clanking noise is another traditional way of celebrating the arrival of the years new batch of wine. One day may be the focus of the celebrations but outdoor chestnut stands sprout up for a few weeks from November and there are always great wines of many a vintage to enjoy in Tenerife. 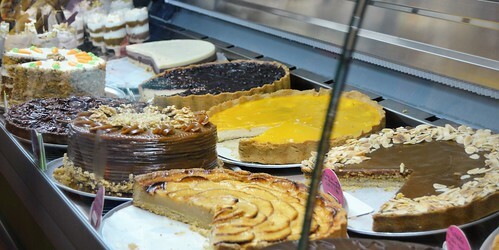 Long live tradition, I’ll drink to that…and eat to it!